You are here: Home / Recipes / Mini Burgers – Bring Burgers Back! 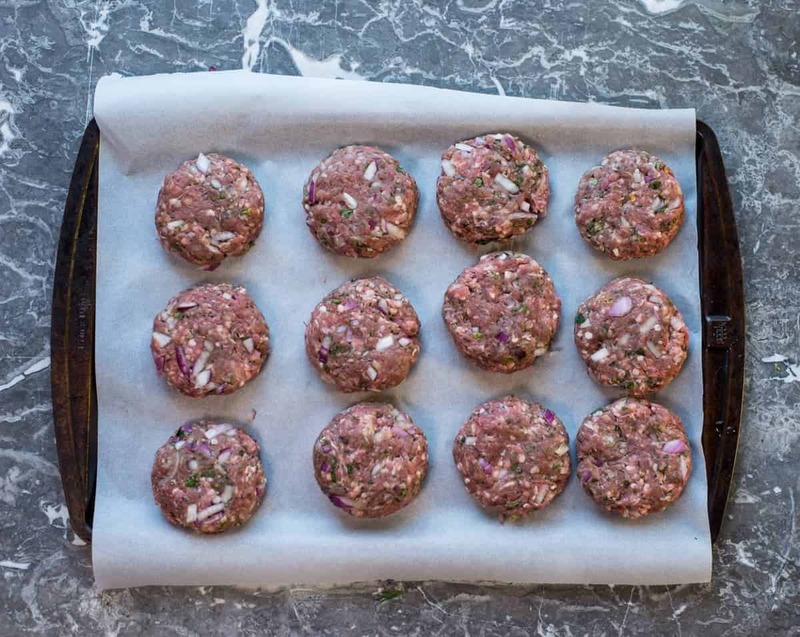 Grass-fed mini burgers should be on your menu this week! Mini burgers are perfect for meal-prep. They have built-in portion control, and everybody loves a burger. If your weekly meal prep seems overwhelming? It doesn’t have to be – start by picking a few core proteins that you love! This series begins by breaking down our Beast Bowls. 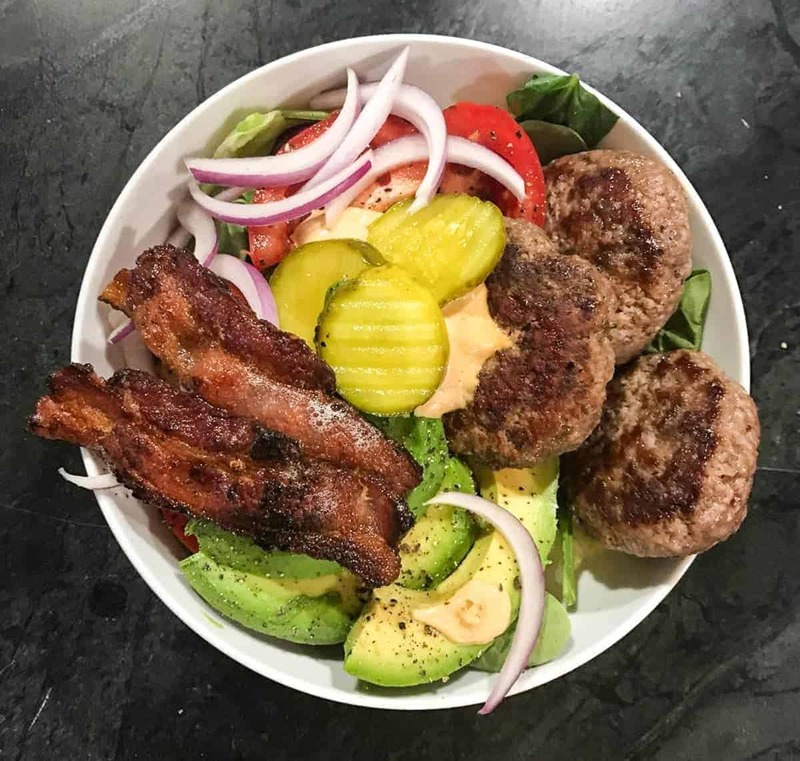 At the heart of every Beast Bowl is a delicious and healthy “core protein recipe.” I want to focus on some of our favorites to get you thinking like a true meal-prep ninja. It all starts with the protein! This week I need a few burgers in my life. How ’bout you? When I meal prep for the week, I typically plan on making 3 lbs of each protein. It’s usually a nice amount for lunches and dinner for the week. I usually pick two core proteins and cook 3 pounds of each one. PRO TIP: I use a #20 cookie scoop to make portioning out these babies super easy. This medium-sized cookie scoop will give you burgers that are about 2 ounces each – the perfect size for sliders or for building a Beast Bowl! 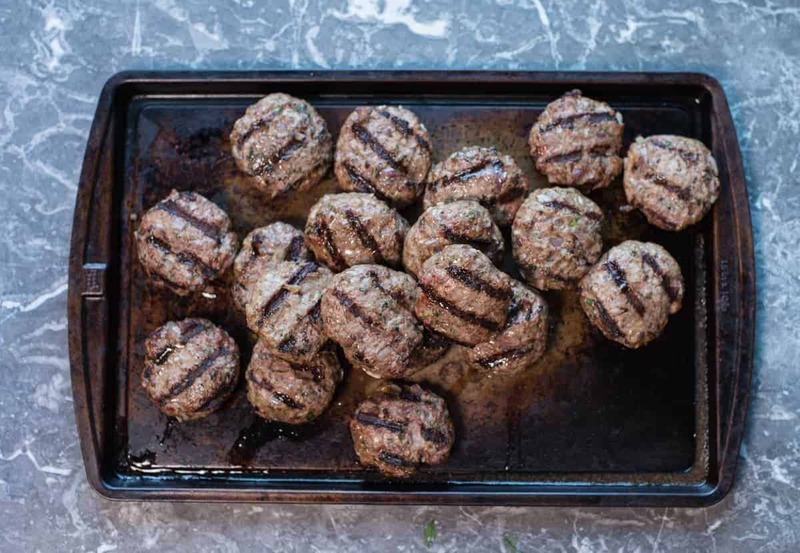 These grass-fed mini-burgers are super yummy on the grill. If you don’t have a grill you can just as easily pan fry these or bake them in the oven. One batch of perfectly cooked, healthy burgers: ready to eat on repeat all week long! Each two-ounce burger packs 11 grams of protein. Planning your macro needs becomes effortless because it’s super easy to portion out the amount of protein you need. 1 burger = 11 grams of protein, 2 burgers = 22 grams of protein. It honestly doesn’t get any easier. We use these tasty little protein bombs to build our American Burger Beast Bowl. (With cheese or without, you decide!) You can use this core protein any way you want to. Now that is a burger that I want in my belly! No gluten, and no unhealthy preservatives. Don’t forget to check out the recipe for animal sauce in the Hamburger Beast Bowl post. 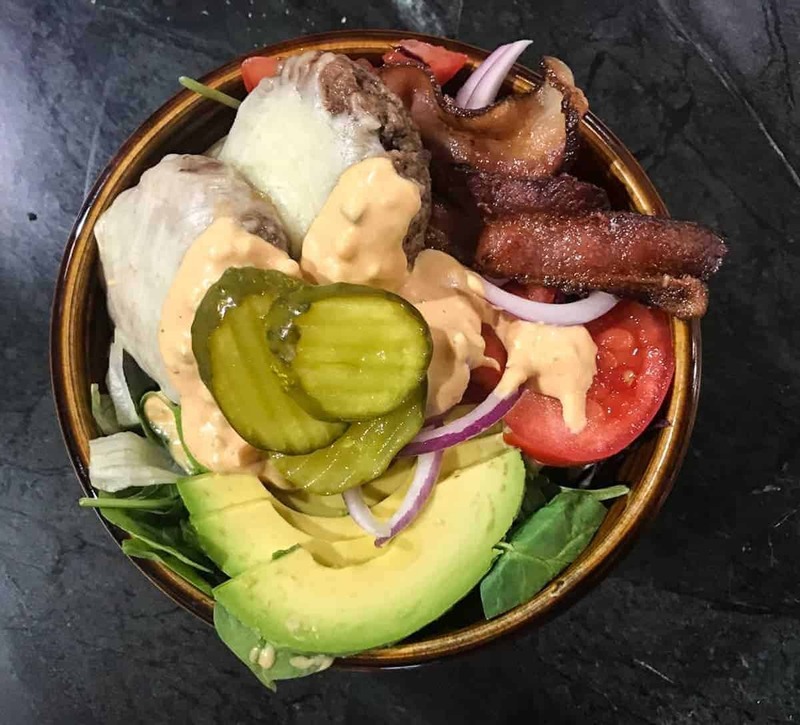 Our Beast Bowl creations make sure that not only are you getting in all of your protein needs, but also make sure you’re getting those extra servings of colorful plants in your daily life. We’ve created these healthy and tasty recipes to inspire you to eat better and cook more. Take this Beast Bowl to the next level with your favorite cheese! Did you make this recipe? We want to see it! Snap a photo and tag us @beastbowls. If you loved this recipe and want to see more, make sure you sign up for our weekly recipe roundup. We share new recipes, nutrition info and other stuff that we don’t share anywhere else. This recipe for grass-fed mini-burgers is perfect for meal-prep. Each burger has 11 grams of protein. Pack extras in the fridge. Munch on protein-packed mini burgers all week. This basic burger recipe can be made with any ground meat. If you happen to have ground turkey around, give it a try.